The former world number one American had rough patches but was mostly dominant in the end against the Czech. 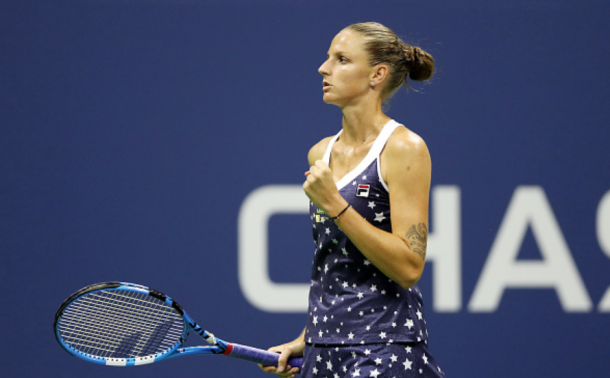 Karolina Pliskova was the last person to defeat Serena Williams at the US Open, doing so in the 2016 semifinal. One round earlier and this all-power showdown between the American and the Czech took place. Different round, new year, new result as Serena struggled in the early stages but eventually dominated the Czech 6-4, 6-3 to set up a showdown with first-time Grand Slam semifinalist Anastasija Sevastova who defeated Sloane Stephens earlier in the day. While Pliskova's serve hasn't been what it was so far this tournament like it has been this season, Serena's serve seemed to be just fine. The 17th seed was firing aces but then got herself into some trouble in only her second service game. She saved two break points, but Pliskova had two good looks on a backhand pass and a second serve return which both found the net. Serena missed a backhand into the net as her unforced tally started to balloon early on to give the break to the Czech. A hold at love is exactly what the eighth-seeded Czech needed and had opportunities for a double break. She had a number of opportunities but tightened up on those moments. The American wasn't herself either, missing her spots yet she held to keep herself a break down at 2-3. Serena had her first two break opportunities and could not convert as her backhand went missing for four straight points after leading 15-40. Serena finally struck back with some better moving and some more winners, and it was Pliskova this time to chalk up some unforced errors knocking a groundstroke into the net. Those missed opportunities for a double break surely weighed on Pliskova's mind as Serena was really beginning to find her mark and closed out the set 6-4 with the Czech missing another shot into the net, letting a 40-0 lead slip away. Serena went from missing everything to winning everything. She broke at love to lead 2-0 and then won an extraordinary point for 30-0 which saw her track down a lob from the Czech only to lob it back in the corner. Pliskova lost the point after missing an overhead and held at love for 3-0. The American could not get a return in play in the early stages of the first set, and she didn't show much patience either. She worked the ball around the court and started to really dominate the return of serve, breaking Pliskova once again. The reaction to going up a double break was subdued which may have carried into her following service games, throwing in a couple of double-faults, including at 30-40 to give one of the breaks back. All of a sudden, the tension in the air reached the levels of humidity for the first time in a long time as the Czech held triple break point. 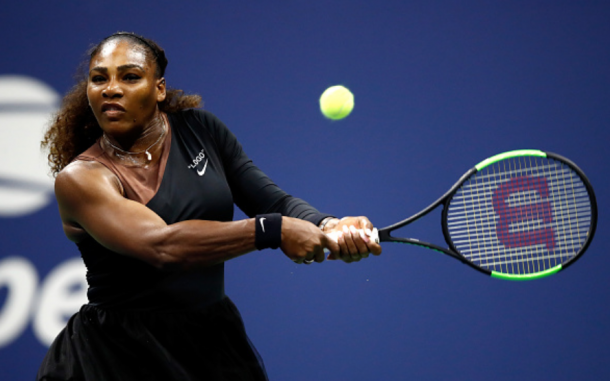 Serena had her trademark comeback from 0-40 and saved four break points to remain ahead and closed out the match at love to earn her spot in the semifinals.